When the claiming feature is enabled, listings that currently do not have any author assigned can be claimed by registered users. If a claim for a certain listing is approved by the administrator, the user who submitted the claim becomes the author of the listing. Under the Settings tab, scroll down the page and select Yes for Enable claims. Scroll further down and click Save Changes. Users with the Create Claims permission (see Permissions for details on permissions) in your directory can claim listings from the single listing page. Login to the site and visit the single listing page of a listing to claim. Click the Claim Listing button. Enter the details for claiming the listing and press Submit. If the submission is success, a Claim post with its claim status set to Pending status is created. 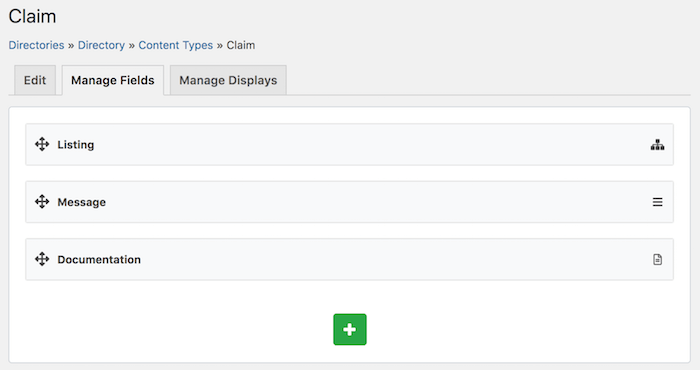 Users can track their claims either in the backend or on the frontend dashboard page. Claims that are still in pending status can be edited (requires Edit own Claims or Edit others Claims permission) but not if they are once approved or rejected. Claims with any status can be deleted (requires Delete own Claims or Delete others Claims permission) at any time. Users with the Admin Directory permission can view all the claims submitted in the directory by visiting the Claims directory administration page in the backend. Claims can be filtered by date and/or claim status using the form above the list. In order to approve/reject a claim, edit the claim and select either Approved or Rejected in the Claim Status metabox and then press Update. When a claim is approved, the user who submitted the claim immediately becomes the author of the listing claimed. In addition, whether a claim is approved or rejected, an e-mail is sent to the user who submitted the claim notifying of the result (see Notifications for more details on notifications). Note: If your directory has payments enabled, claims can be approved/rejected only after the order created with the claim has been marked completed. You can also add more fields to the claim listing form (see Adding and Managing Fields). For example, it may be useful to add a File type field to the claim listing form so that users are required to submit a certain document that can help directory administrators to determine the validity of the claim. If your directory is a multilingual-enabled directory (see Multilingual Directory), then claiming a listing is equivalent to claiming all other translations (and the original listing if the listing claimed is a translated listing) of the listing at once. Once the claim is approved, the user who submitted the claim will become the author of not only the listing claimed but also its all translated listings.